Why Is Fire So Important to Survival? 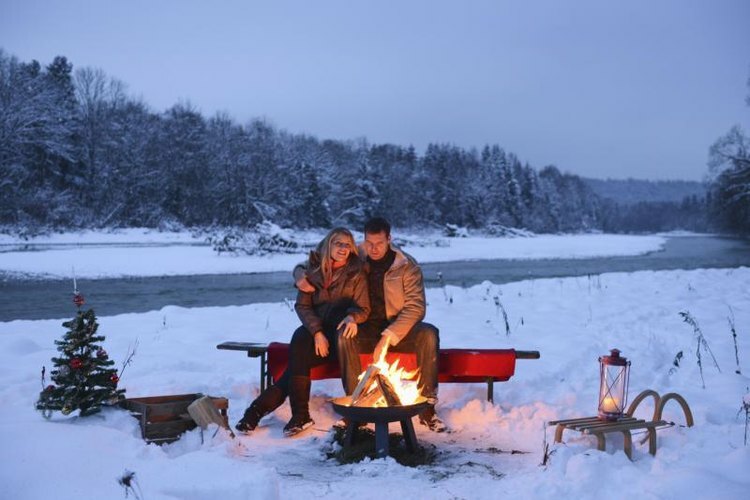 Couple sitting in front of a campfire. Fire provides an assortment of benefits in survival situations, but none is as important as enabling you to boil water. Water is one of the most important resources for survival, as humans can only go a few days before dying from dehydration. While most water sources contain a variety of dangerous bacteria and pathogens, you can eliminate them by boiling the water for several minutes. In addition to allowing you to boil water, fire allows you to cook any food you may obtain. While some animals, such as earthworms and fresh fish, may be edible raw, you must cook any mammal, bird, reptile or amphibian you catch to kill any internal parasites and bacteria. Fire also provides warmth, which may be lifesaving if you are in a cold environment. Additionally, fires provide light at night, which helps keep you safer and allows you carry out tasks in the dark.